This entry was posted in English and tagged Hebrews, New Testament. Bookmark the permalink. 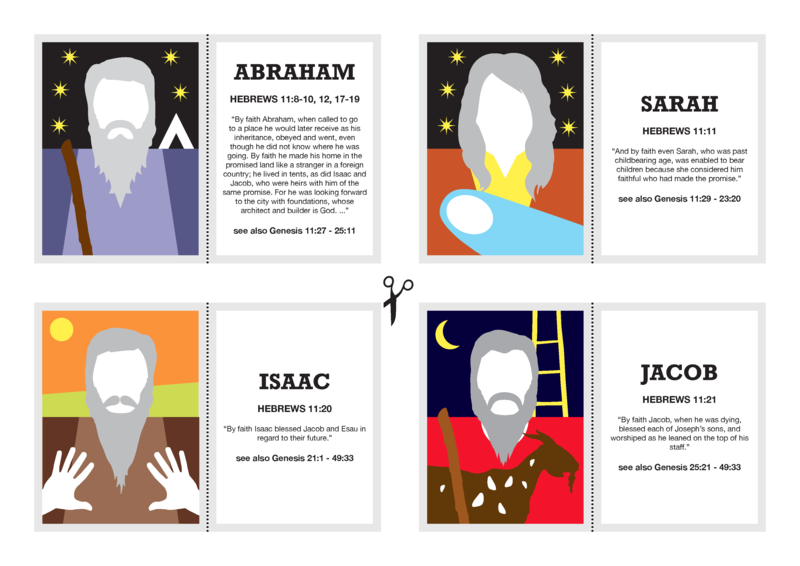 The guys over at the Visual Unit blog do some great stuff giving more visual for to bible verses, stories and concepts. This one here is great, but also check out another recent one – https://visualunit.me/2014/01/25/i-am-sayings/. do Moses’ parentals get a look-in or are these just the highlights? Hey Doug. Yes, this is really the highlights package, i.e. 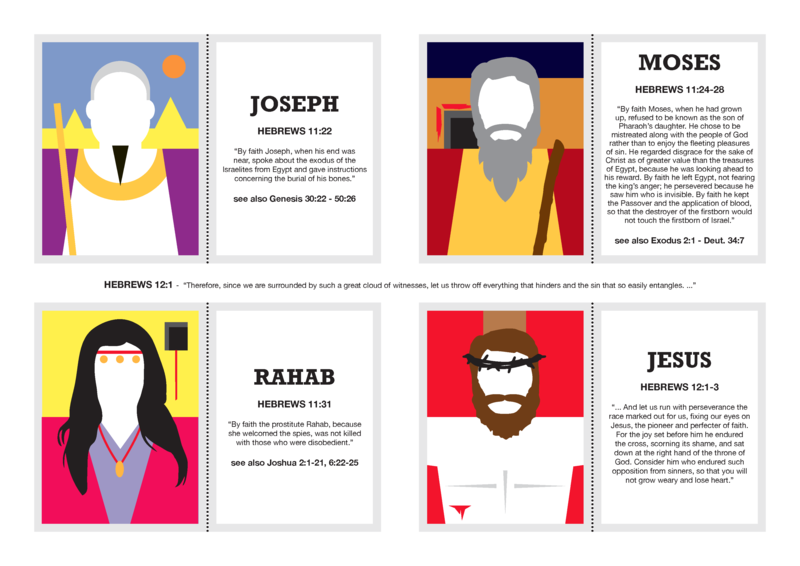 I only included people singled out by name, though not simply listed at the end of the chapter (Gideon, Barak, Samson, Jephthah, of David and Samuel and the prophets). Otherwise that would mean drawing a bunch of others, like the whole of Israel (11:29). “What more shall I say? For time would fail me …” (11:32). Thank you for serving the body here in West Texas. Your skills produce art that resonates with this generation of primary oral learners. 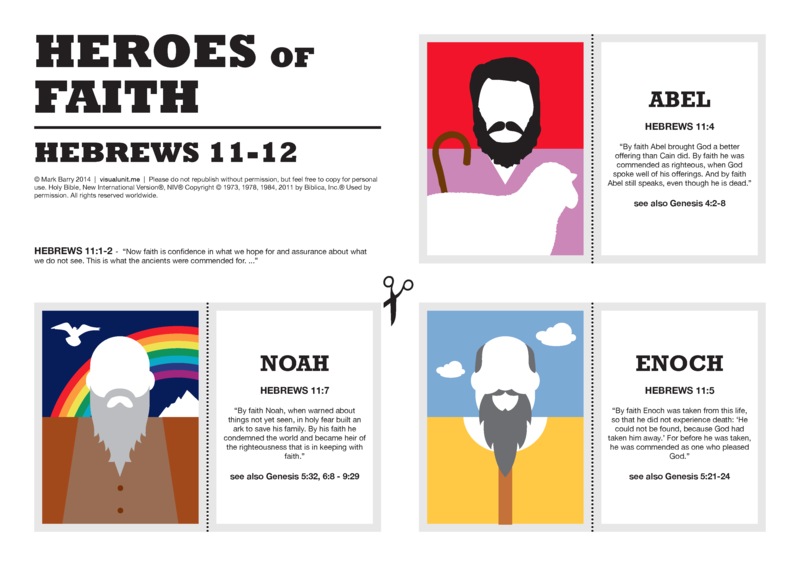 These are now used in making disciples of my children. First used your material making disciplers in South Asia several years ago. Your reach is beyond your comprehension. Thanks Paul. That’s music to my ears!